If you've been told you have insufficient bone for dental implants, call our practice for an evaluation. 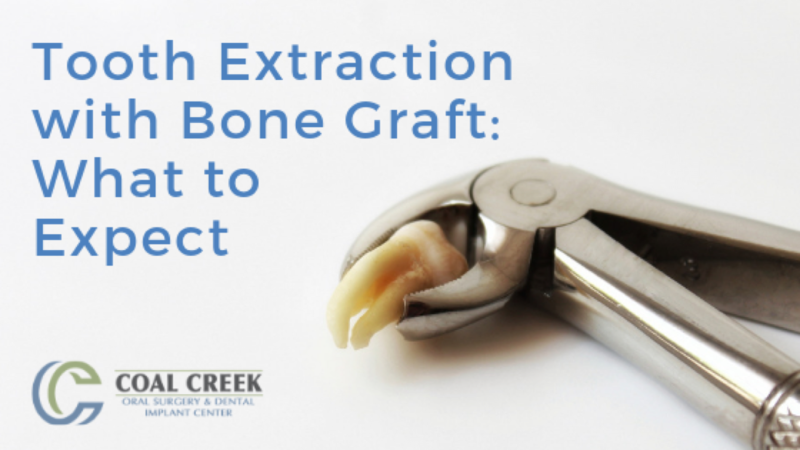 Bone grafting restores bone lost to gum disease. If you are missing teeth, chances are good that you are exploring all your replacement options. You may have discussed dental implants with your general dentist but been told that your dental bone is too weak to support an implant. Dr. Hayes is a skilled oral surgeon with advanced training in procedures like bone grafting, which can restore health and density to your bone. 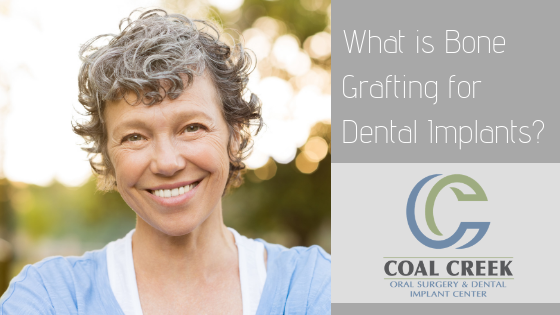 Through bone grafting, you can become a much better candidate for a secure and stable dental implant. At Coal Creek Oral Surgery and Dental Implant Center, we make use of high-tech digital imaging and the latest advanced techniques to restore your oral health in ways you might not have even thought were possible. Grafting is the process of restoring damaged tissue using new donor tissue. You’ve likely heard of grafting in the context of skin grafting for people who have suffered a severe injury, such as a burn. If we are removing a tooth prior to replacement with an implant, we can use a process called ridge preservation, in which we place a bone graft at the time of the extraction to help prevent the bone from becoming diminished. 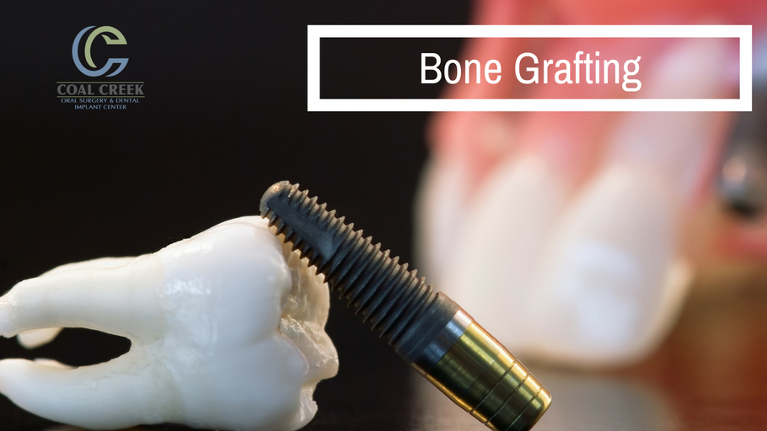 We can place a bone graft at the same time as your implant to improve integration and stability. We can use a variety of materials, including donor bone from your own body and even a growth-factor containing protein compound known as bone morphogenetic protein (or BMP) to stimulate bone growth and regeneration. Every case is different. You will have different needs based on a multitude of factors, including your age, the location and size of the tooth we are replacing, and your overall oral health. This is why it pays to discuss your options with a skilled oral surgeon like Dr. Hayes. He will apply his expertise and experience to your case and lay out all your options as well as what you can expect from each one. One of our goals is to enhance your understanding of your oral health so you can make informed decisions about your care. We know you have a lot of questions and that you might be feeling worried about upcoming oral surgery. 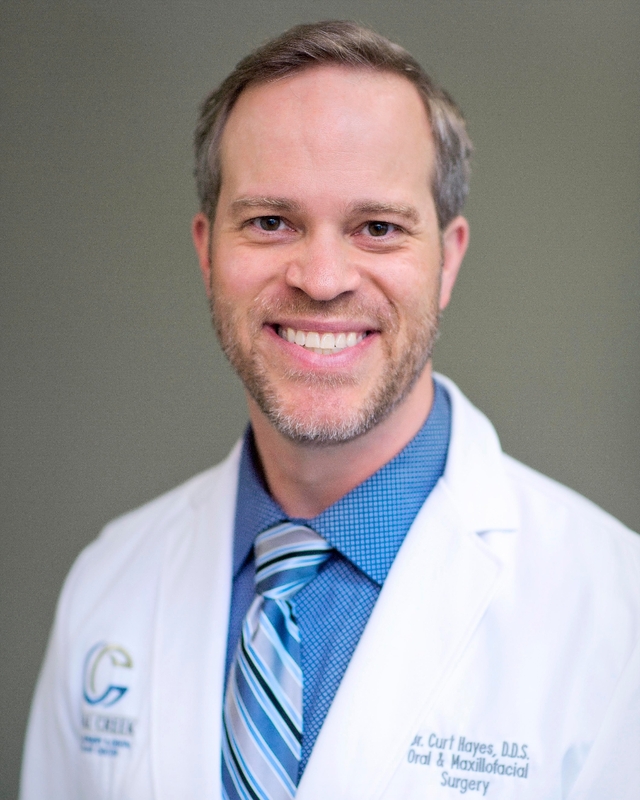 Dr. Hayes has chosen his team carefully, combining the perfect mix of skill and compassion, and we are here to help you have the best possible oral surgery experience. Please call our office today to schedule your consultation with Dr. Hayes so you can learn more about your options. You could be a candidate for dental implants!.